Book. The word means something different today than it did when I was a kid — to me, at least. I envision the immersive book of the future, delivering narrative in text, hypertext and 3D, perhaps streamed from the publisher’s website. Before I leave the planet, it might be fun to be involved in writing and publishing one of these. 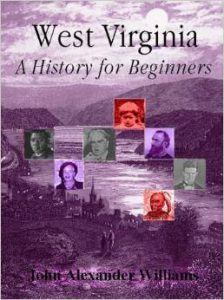 Back in the early 1990s, we published West Virginia: A History for Beginners by John Alexander Williams, later approved as a state history text for middle schools. When it came time for the state to purchase textbooks, we began the process of introducing the book to influential teachers and school officials around the mostly-rural Mountain State. It was an interesting time, showing educators how we’d uploaded a website to go with the book. This was 1998, when many-many people were hearing about the Internet for the first time. Today, I suspect I was one of the first in the United States to link a middle-school textbook to a website. I know I was the first in West Virginia to do it. It was pretty exciting back then, taking my second-hand Mac laptop around the state, showing the website to influential county teachers. Admittedly, I ‘cheated’ some — showing the web pages stored on my computer’s own hard-drive. Why this? Almost no teachers had access to a computer yet. Nor could many allow me to plug into a phone line. 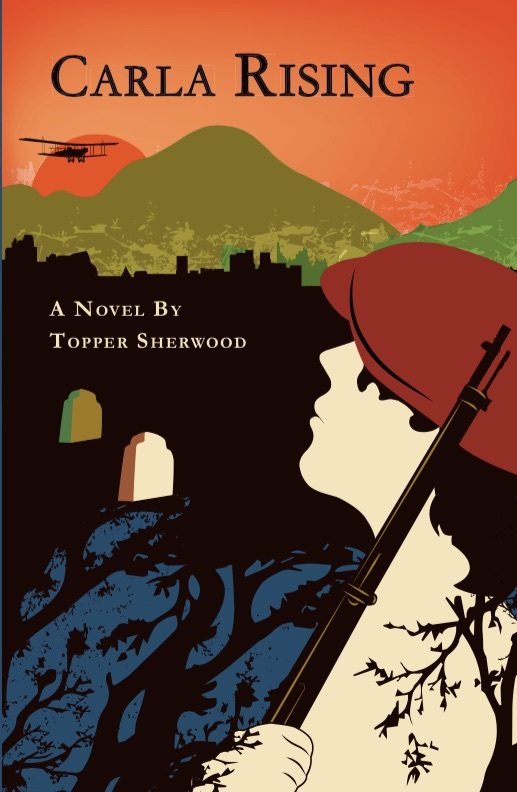 I was, after all, a stranger; a ‘foreigner’ from Charleston. Give me access to a phone line to dial up my own connection in Charleston – just to show teachers the Internet and our use of it? Sorry, no. Funny to think: At the same time I was pushing our website to many then un-wired West Virginia counties, Verizon contracted me to develop demo curriculum, using digitized archival video of John F. Kennedy during the 1960 campaign. I was helping Verizon show teachers how – one day – Verizon servers would stream video to teachers and students around West Virginia. 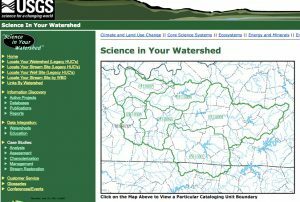 In the places that did trust me with a phone line, I showed my links to great federal online databases, like the amazing Tiger from the US Census, and the remarkable information about our regional watersheds from the USGS – all linked to the West Virginia: A History for Beginners website (since taken down). In this way, in 1998, I gave myself a tour of West Virginia, largely seeing it through the eyes of rural middle-school teachers and administrators. I had wonderful experiences: I saw some rural teachers delivering instruction to promising young people with far fewer resources than urban schools – and doing pretty damned well at it. For me, the downside was this: Too many teachers I met were not receptive to our work. Too many didn’t have time or energy to learn about John Williams’ innovative approach to teaching history, nor about surfing the World Wide Web – which they couldn’t experience on their own, yet. They (rightly) assumed that I was “just trying to sell something” to them and their school systems. I came to these counties as an alien, promoting an inaccessible website which, at the time, I saw only as a great, new tool for teaching. Too many rural teachers definitely saw my presentation of West Virginia: A History for Beginners as something ‘foreign’ or too far in the future. Eventually, I caught on. In many places, I felt as if I were talking to my audience from some distant basalt crater on Mars. It almost broke me, not getting through to them. Not being truly successful in the marketplace. I’ve grown more used to it since then. Today, I also question the age-old infrastructure that draws big profits to a few players by ushering deeply flawed products to success in the marketplace. In a big way, the weary structure and process of developing and selling books, especially textbooks – all over the United States – seems to share these same systemic defects, prompting ever-bigger “bugs” instead of better, smarter, and more interesting books (in old media or new) that effectively reach their audiences.